In-Depth: Australia’s No. 2 City Shuns Open-Loop Transit Payments, Sticking with Closed-Loop Mifare for Launch of Mobile Service | NFC Times – Near Field Communication and all contactless technology. Transit officials in Australia's No. 2 city, Melbourne, are sticking with their closed-loop fare-collection service, myki, as they launch NFC mobile payments. That is after the country’s No. 2 city, Melbourne, last week followed through on long-held plans and launched Mifare-based closed-loop payments through Google Pay, while shunning open-loop payments. 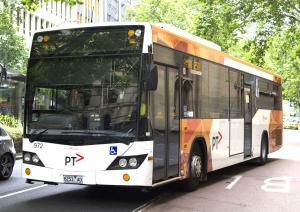 That runs counter to support for open loop by transit officials in other large Australian cities, Sydney and Brisbane. A spokeswoman for Melbourne-based transit agency Public Transport Victoria, or PTV, told NFC Times that the authority has no plans to support open-loop payments. It would have been too expensive, and also wouldn’t support the type of discount fares that PTV’s closed-loop myki service does, she said. Article has about 2030 words.